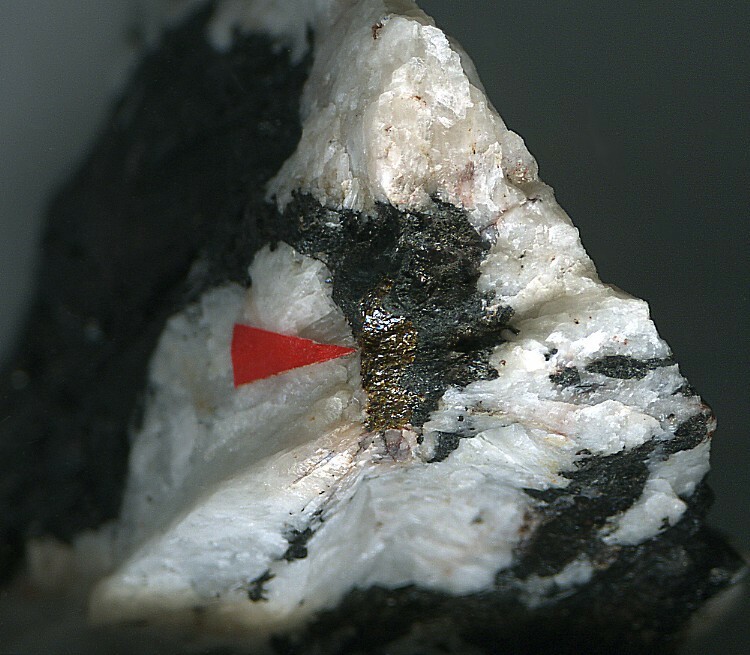 Fluorcalciomicrolite: Mineral information, data and localities. Named according to convention, for its dominant fluorine and calcium content, and for its relationship to other microlite group minerals. Unique combination of elements. The (Ca,Na)-analogue of fluornatromicrolite. The Ta analogue of fluorcalciopyrochlore. In the collections of the Museu de Geociências, Instituto de Geociências, Universidade de São Paulo, São Paulo, Brazil, registration number DR731. Andrade, M. B., Atencio, D., Persiano, A. I. C., & Ellena, J. (2013). Fluorcalciomicrolite,(Ca, Na,□)2Ta2O6F, a new microlite-group mineral from Volta Grande pegmatite, Nazareno, Minas Gerais, Brazil. Mineralogical Magazine: 77(7): 2989-2996. Titan-uranoan Fluorcalciomicrolite Most of specimens of former Tantalbetafite (of Kalita & Bykova) had turned out Titan-uranoan Fluorcalciomicrolites. 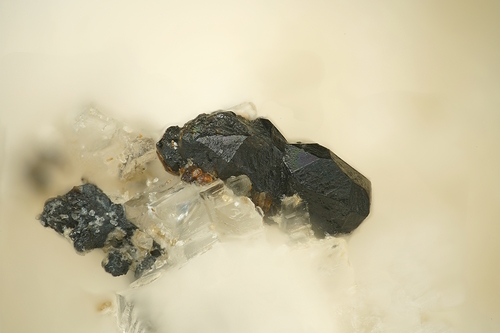 Atencio, D., Andrade, M.B., Christy, A.G., Gieré, R., and Kartashov P.M. (2010) The Pyrochlore Supergroup of Minerals: Nomenclature. Canadian Mineralogist: 48: 673-698. Andrade, M.B., Atencio, D., Yang, H., Downs, R.T., Persiano, A.I.C., and Ellena, J. (2012) Fluorcalciomicrolite, IMA 2012-036. CNMNC Newsletter No. 14, October 2012, page 1286; Mineralogical Magazine: 76: 1281-1288. Andrade, M.B., Atencio, D., Persiano, A.I.C., and Ellena, J. (2013) Fluorcalciomicrolite, (Ca,Na,□)2Ta2O6F, a new microlite-group mineral from Volta Grande pegmatite, Nazareno, Minas Gerais, Brazil. Mineralogical Magazine: 77(7): 2989-2996. The following Fluorcalciomicrolite specimens are currently listed for sale on minfind.com. Andrade, M.B., Atencio, D., Yang, H., Downs, R.T., Persiano, A.I.C. and Ellena, J. (2012): Fluorcalciomicrolite, IMA 2012-036. CNMNC Newsletter No. 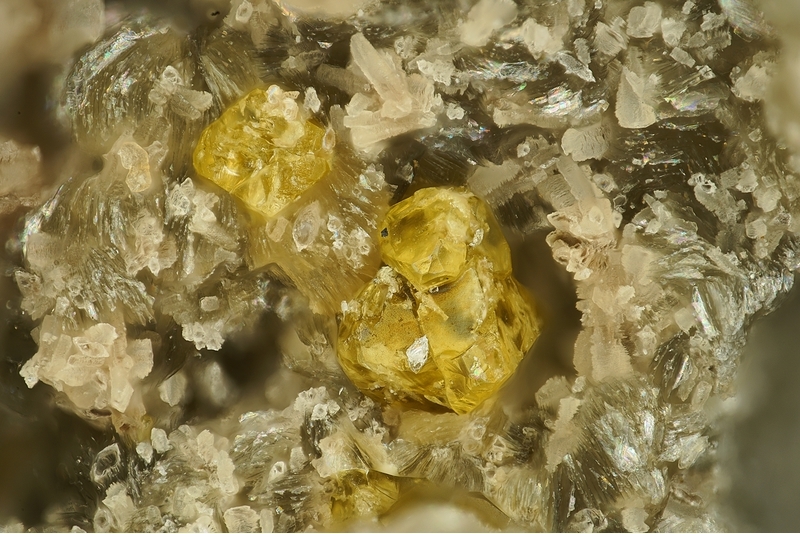 14, October 2012, page 1286; Mineralogical Magazine, 76, 1281-1288; Andrade, M. B., Atencio, D., Persiano, A. I. C., & Ellena, J. (2013). Fluorcalciomicrolite,(Ca, Na,□)2Ta2O6F, a new microlite-group mineral from Volta Grande pegmatite, Nazareno, Minas Gerais, Brazil. Mineralogical Magazine: 77(7): 2989-2996.